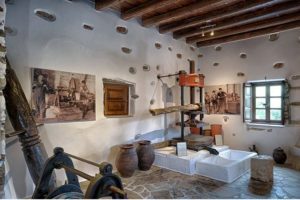 If you want to know everything about the history of olive oil production it is worth visiting the traditional olive workshop of Eggares. 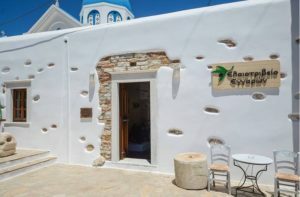 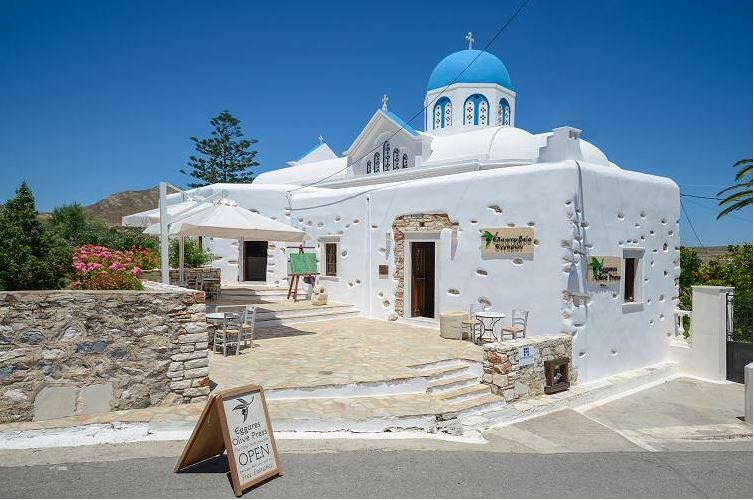 It is located in the village of Eggares, 7 km away from Naxos town and is housed in an old olive mill that has been restored. 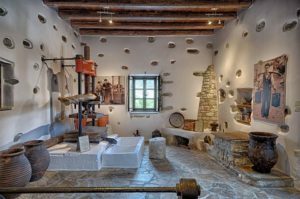 The visitor will see the old machines, the traditional cylinders, old tools and many interesting photos from the past. 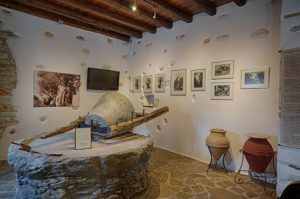 In a second place there is an exhibition of olive products. 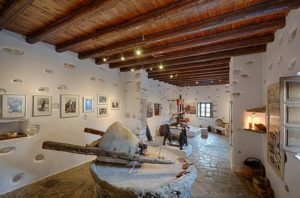 The museum is open from May to September, every day from 11:00 to 18:00. 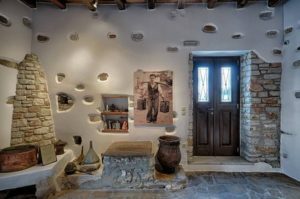 Entrance and guided tour are for free.